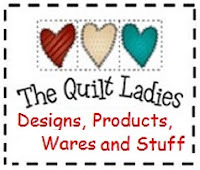 The Quilt Ladies Book Collection: Basic to FuN Quilt Pattern for YOU ! This traditional quilt pattern is one of the first one you will ever do and use.The quilt block is finished size of 8" x 8" and here is how I do triangles The FuN block is wild and probably the reason I like it. I've been asked, "Why no finished quilt blocks this year?" Easy, "I'm exhausted."